Sniper: Legacy is an improvement upon the aforementioned Sniper: Reloaded. It makes a lot more sense that our heroic snipers are fighting the Taliban and other terrorists, and because of that, the audience is more engaged. 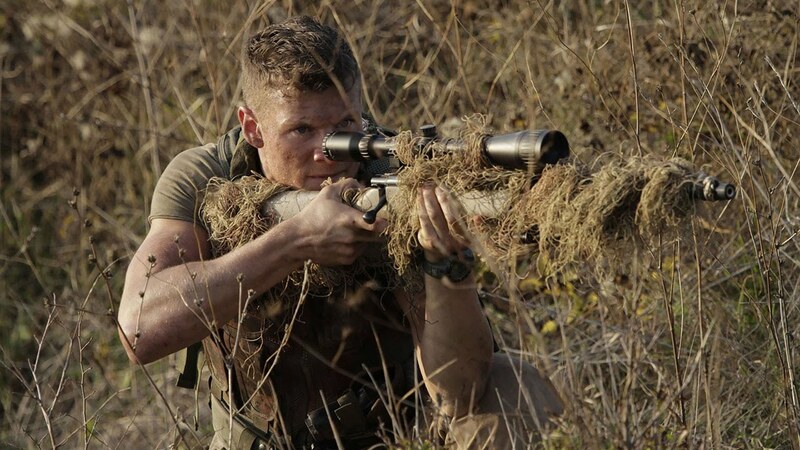 The subject matter is a lot more relevant than any goings-on in Africa, especially considering that in 2014, the year this movie came out, the very high profile – not to mention excellent – film American Sniper was also released. 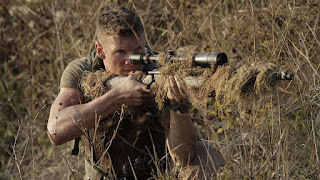 Hence, the role of snipers in our military was more front-and-center in our nation’s consciousness than ever before. What with the millions of people worldwide who saw American Sniper, the timing must have seemed right not just to make another Sniper sequel, but to bring back the classic character of Thomas Beckett. So while the movie gets points for relevance – and letting us know right from the first scene that this is an especially trenchant new iteration in the now-long-running series with a Homeland-esque scenario – Thomas Beckett himself doesn’t show up until 55 minutes into the movie, and even then it’s just a glorified cameo. This despite the top billing of Berenger. Other characters talk about Beckett and his legendary status more than he’s actually seen. Even his own son calls him “Master Guns” and not “dad”. Of course, this is probably purposeful to highlight the distance between father and son. As for returning younger Beckett Chad Michael Collins (not to be confused with the director, Don Michael Paul, or co-star Mark Lewis Jones), he acquits himself well enough, but he’s still just as bland and faceless as he was before. He’s just an empty ghillie suit. His only character arc consists of him being initially resistant to being a sniper, and now he’s an expert and a master marksman. But even after having seen two movies that he’s starred in, it’s doubtful I could pick his face out of a lineup. This time he’s backed up by some quality co-stars, like Jones, Mafham, Berenger, and Haysbert – who at any moment you think is going to ask us if we’re in good hands with Allstate. Seemingly every couple minutes we’re in a new location and an on-screen title card is telling us where we now are. This seemed a bit much and as audience members we were practically getting jet lag from all the location changes. Couldn’t they just stick with Bulgaria? Maybe they were embarrassed about that, so they tried to distract us with all the changes. Finally, we have to note that we were not happy with the herky-jerky fight scenes, and the CGI smoke, blood, bullets, etc. It would have been much cooler if they toned down – or got rid of entirely – the CGI. That truly would be honoring the Legacy they claim to respect. So while the movie does slow down considerably by the midway point, and Berenger is underused, we still say it is an improvement over the prior entry in the series. 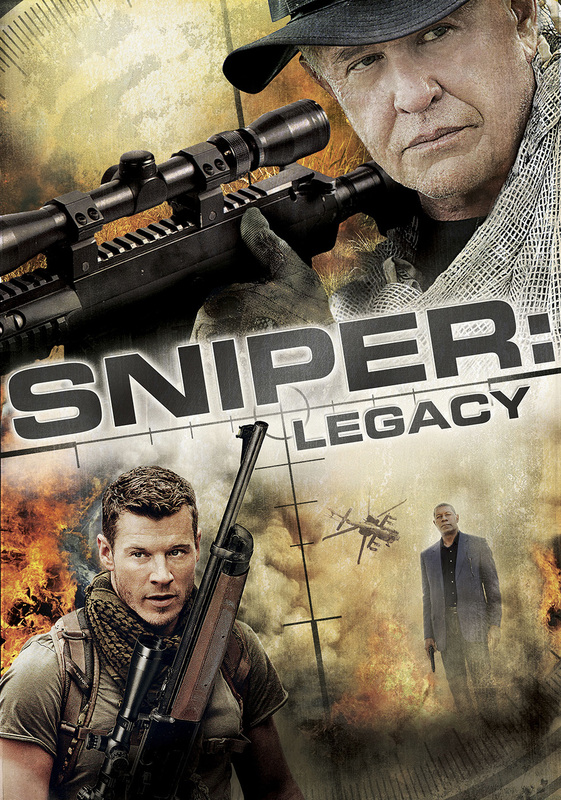 If you’re interested in seeing every single Sniper movie, perhaps see this one before seeing Reloaded, unless you want to get the weaker entry out of the way first.